Do you find yourself continually searching for shop events? Are you overwhelmed trying to create and plan a full schedule of activities? 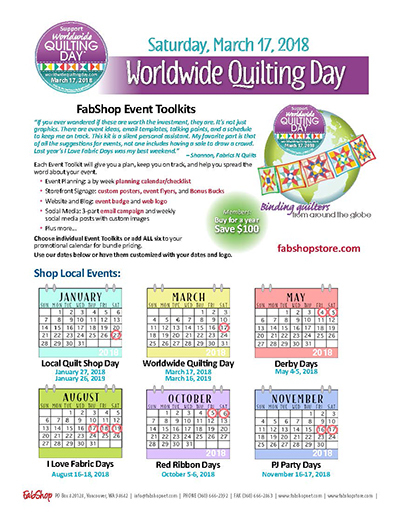 FabShop can now save you time and help you make money with our Event Toolkits. Each Event Toolkit will give you a plan, keep you on track, and help you to spread the word about your event.